One of the biggest challenges facing small and mid-size business is developing leadership teams and creating an effective succession plan. Warren Buffet recently announced a portion of his succession plan, and it provides a meaningful lesson for every CEO. Buffet realizes that he is a unique figure and that as a result he must break his job in two to make it work. Too often entrepreneurs try to replace themselves, rather than focusing on replacing their capabilities. Buffet realizes that an effective succession process takes time. The biggest point is that Buffet understands that if you're in charge, you need to be in charge. In appointing Todd Combs the heir apparent to running the investment operation, Buffet is giving Combs a portfolio to control. Buffet will still run the major portfolio, but Combs will have complete control over a smaller portfolio. Buffet isn’t ready to let Combs run the entire Berkshire portfolio (and neither is Combs). Instead of limiting Combs ability by “working together”, he is letting Combs run a smaller portfolio and build up to taking it all over. 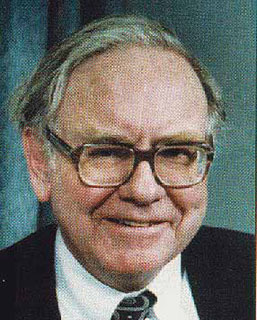 Once again, we can all probably learn something from Buffet’s actions.